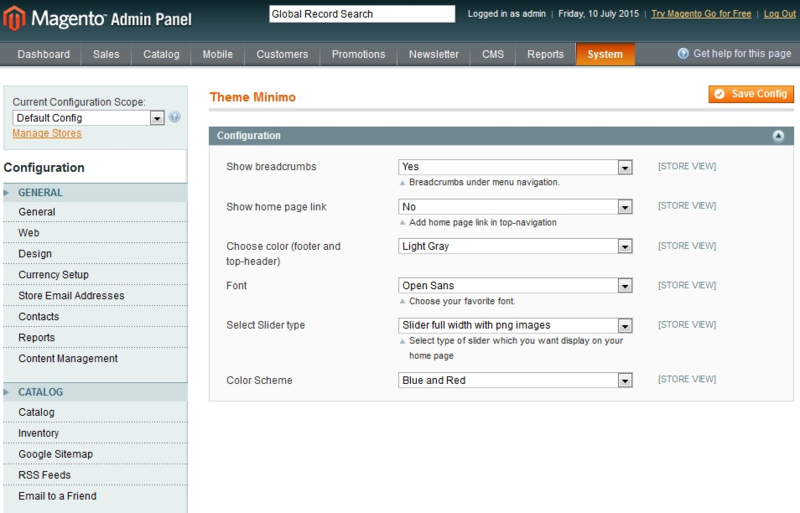 Proceed with the steps listed below in order to upload and enable a custom admin panel theme. 3. 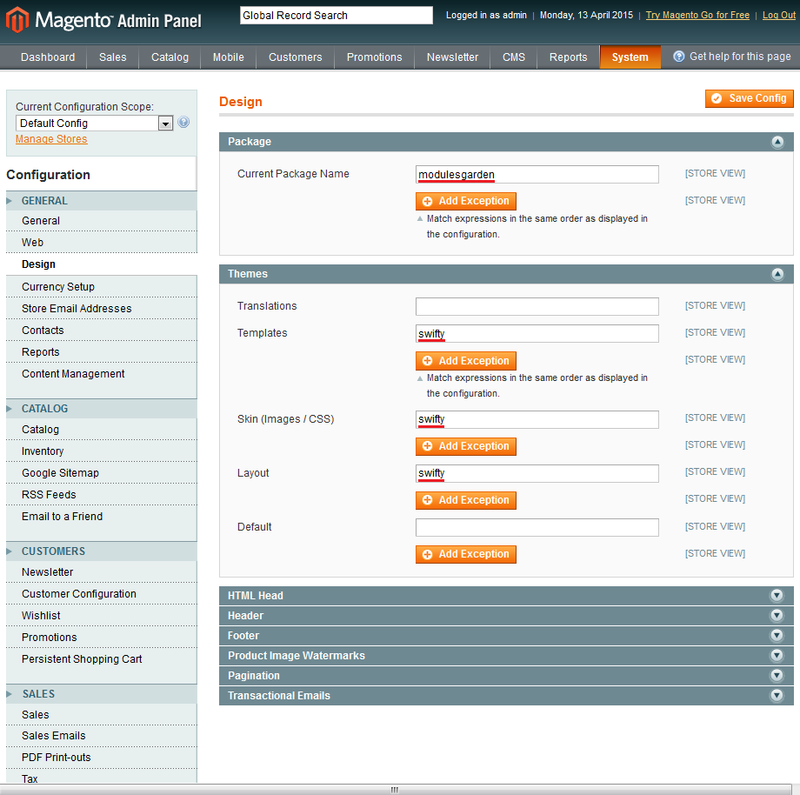 Log in to Magento admin panel, clear cache and proceed to 'System' → 'Configuration'. Confirm through pressing 'Save Config'. 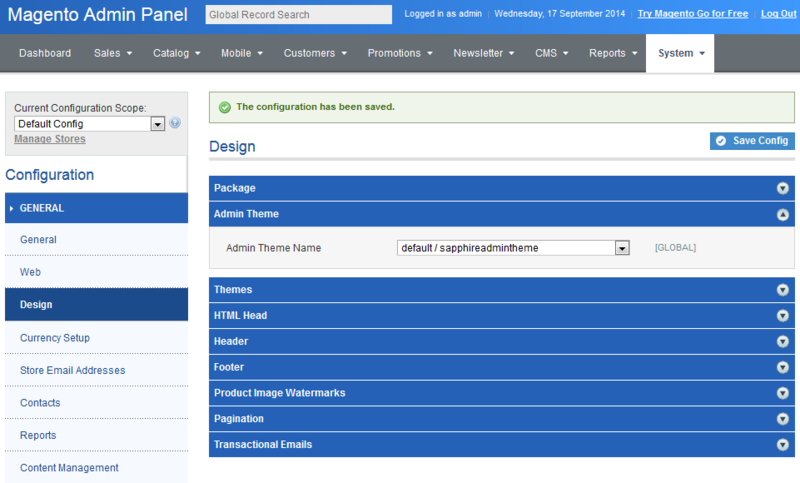 Below you can find examples of admin themes in our offer. 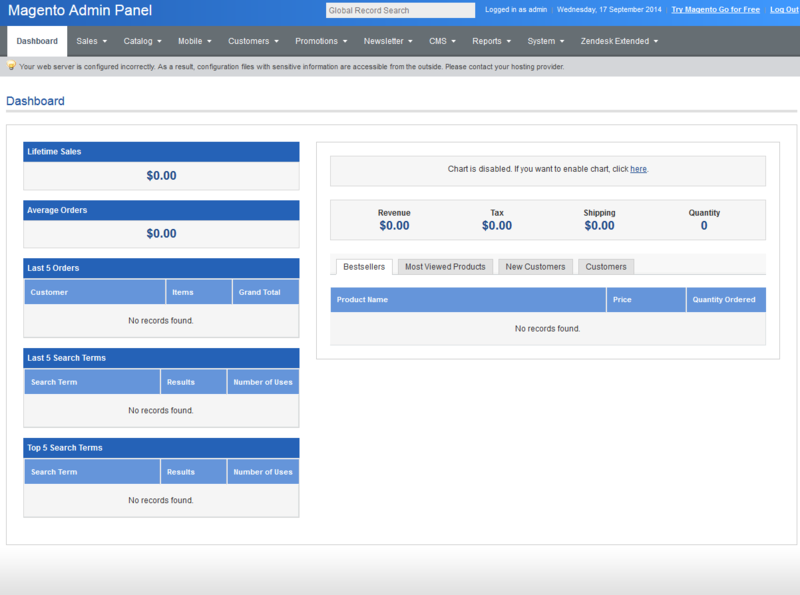 Sapphire is a clean and elegant skin for your favorite eCommerce platform. 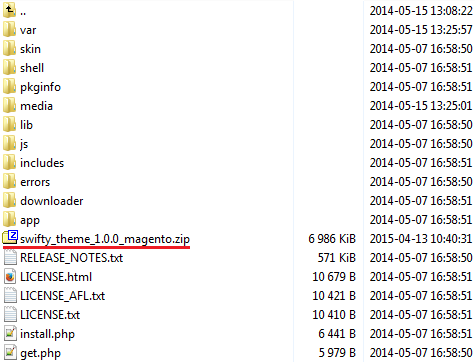 Proceed with the steps listed below in order to upload and enable a custom theme. 1. 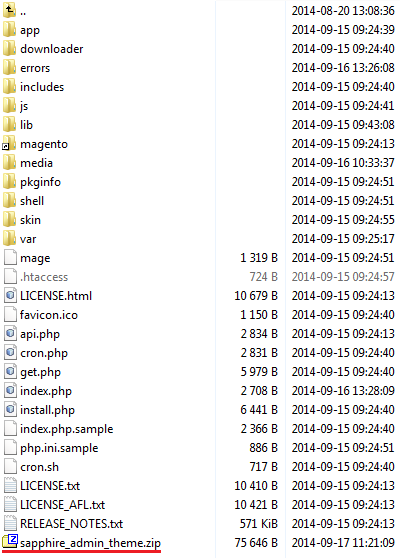 Download desired front-end theme archive. Afterwards, press 'Design' under 'General' section. 4. Now, fill out marked fields as shown below. 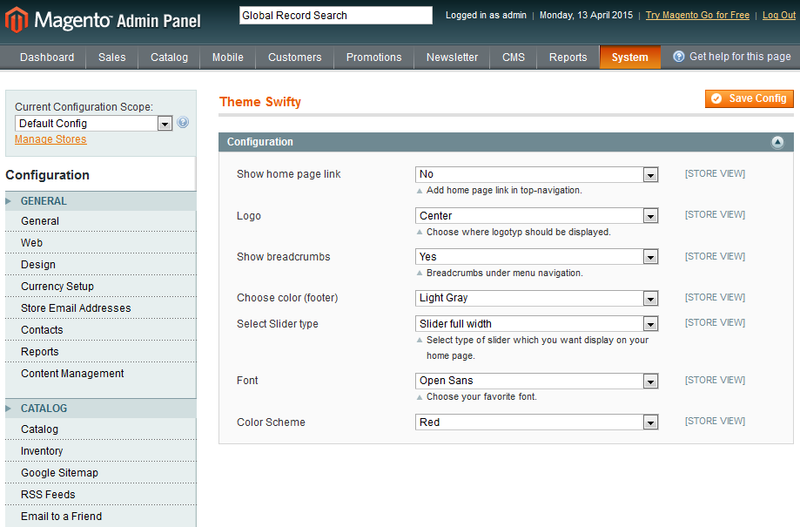 Note: You need to replace 'swifty' with the installed theme name. Confirm by pressing 'Save Config'. 5. Your theme is changed, congratulations! To introduce final alterations proceed to 'System' → 'Configuration'. Find and press your theme under 'ModulesGarden' section. 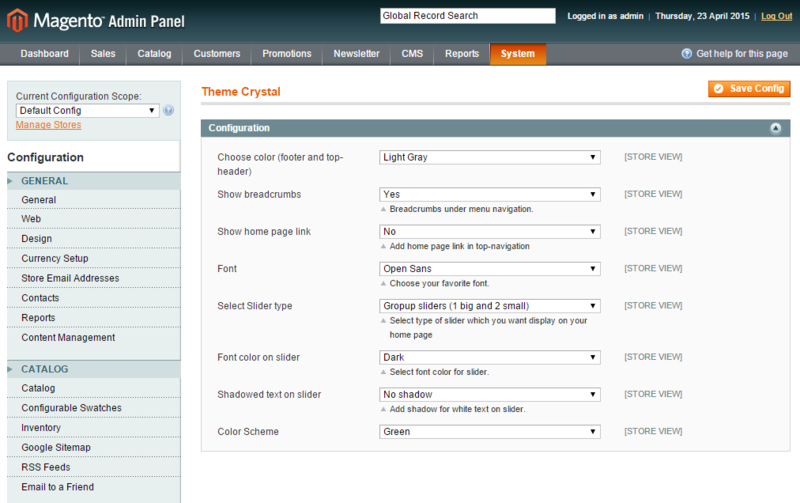 Crystal is a clean and simple Magento theme with three sliders. 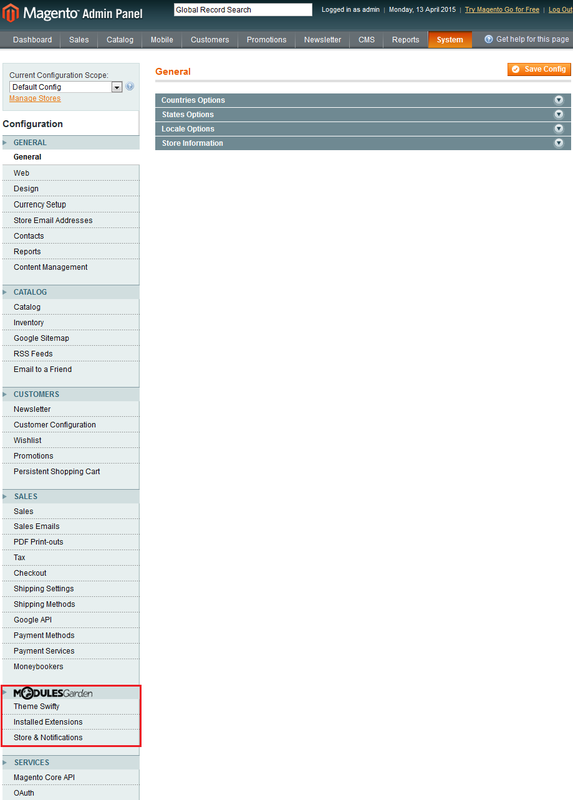 Its configuration allows you to define placement of components, choose color scheme and font. On the following screen you can see how it presents in reality. Minimo is a simple and clean Magento theme. 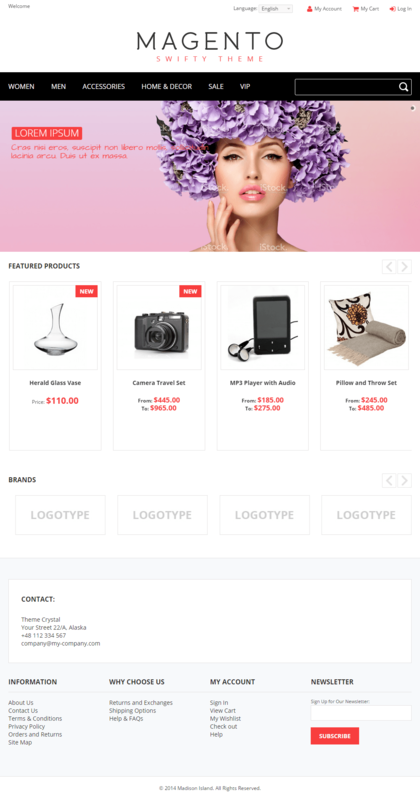 Swifty is a responsive Magento theme with product's slider. This page was last modified on 14 March 2019, at 14:48.